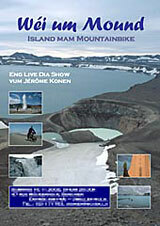 Now you can experience our expeditions during live presented shows done by myself. The presentations are shown on a 3.6 x 2.4 m screen or smaller. Ask for more information if you are interested in organizing a show for a large public. 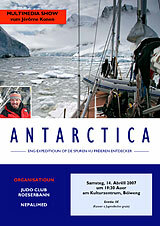 A live presented show about a breathtaking diving expedition to the eternal ice of Antarctica - a world made of extremes. Presented in High Definition Audio Vision - a stunning multimedia experience. Duration: 2 x 50 min. Part one: Experiencing the elemental beauty and the magical power of Lake Baikal, the deepest and most pristine lake in the world. Visual and cultural highlights of a breathtaking dive expedition. Part two: Crossing of the whole frozen Lake Baikal on mountain bike during the siberian winter. Dramatic moments on ice in a world far from your imagination. Duration: 2 x 60 min. 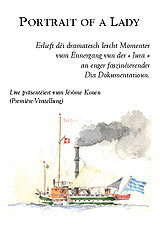 What were the last dramatic moments before the sinking of the "Jura" paddle steamer at the Lake Constance in 1864? The most frightening of all sharks is worthwhile a test of courage. An outstanding expedition in South Africa. Discover as well the wonderful Cape of Good Hope, the Winelands and Cape Town. 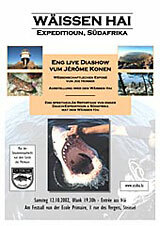 In addition to the show are a scientific intoduction about Great White Sharks and an exhibition about sharks. Duration: 2 x 40 min. An extrem and dramatic mountain bike trip through the highlands of Iceland. After the touristical sites, the show takes you to the heart of Iceland, a landscape similar to the moon. The highlight is the crossing of the Odadahraun desert, the largest lava desert in the world.